AWOL: The Leipzig Open Fragmentary Texts Series (LOFTS). The Leipzig Open Fragmentary Texts Series is a new effort to establish open editions of ancient works that survive only through quotations and text re-uses in later texts (i.e., those pieces of information that humanists call “fragments”). 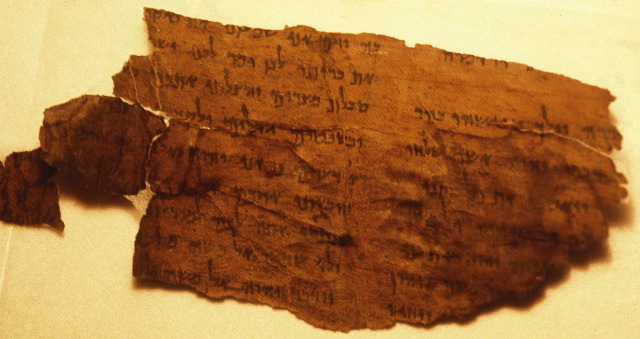 In the field of textual evidence, fragments are not portions of an original larger whole, but the result of a work of interpretation conducted by scholars who extract and collect information pertaining to lost works embedded in other surviving texts. These fragments include a great variety of formats that range from verbatim quotations to vague allusions and translations, which are only a more or less shadowy image of the original according to their closer or further distance from a literal citation. AWOL first noted this important project back in 2013, but I seem to have missed it then. The subject matter is more wide-ranging than the titles imply. UPDATE: See also Richard Bauckham's recent chapter "Eldad and Modad" in Old Testament Pseudepigrapha: More Noncanonical Scriptures, volume 1 (ed. Bauckham, Davila, and Panayotov; Eerdmans, 2013), pp. 244-256, and my article "Quotations from Lost Books in the Hebrew Bible: A New Translation and Introduction" in the same volume, pp. 673-698. And for many past PaleoJudaica posts on lost books (known only by title or quotation fragment(s) or manuscript fragment(s)), start here and follow the links.